How to get there: There is good access from Ustaoset and Geilo. Both these places are stations on the Oslo-Bergen railroad. There is also good road access from both Oslo and Bergen. 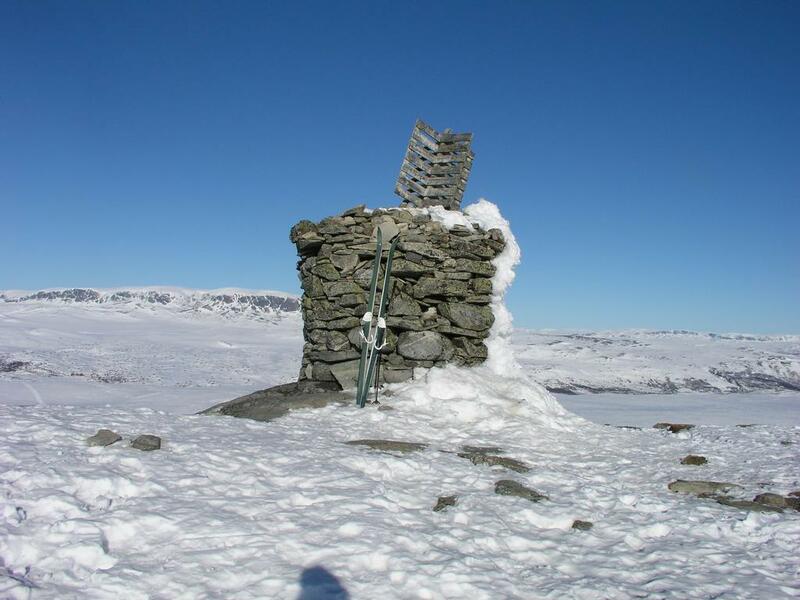 The route below starts at Kikut a mountain cabin area just south of Geilo. Drive the main highway from Geilo in the direction of Kongsberg. As soon as the terrain levels out, locate parking on your right. Route description: This mountain area is quite accessible, the easiest route is likely from Ustaoset. 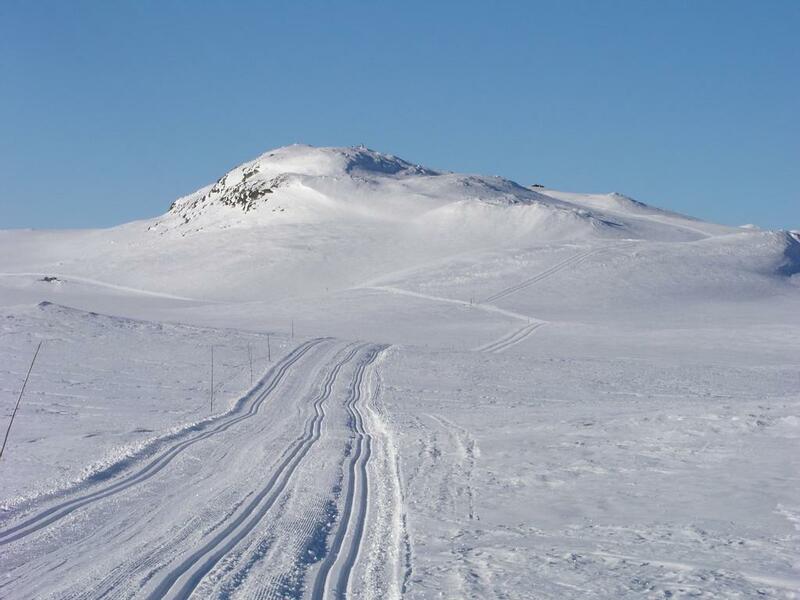 The route to be described starts at Kikut near Geilo. The climb is best in the winter, late February through April. Locate a groomed track that heads west, follow this until Ustetind appears on your right (use a map). The climb is straightforward on skis all the way to the summit. Comments: I skied from Kikut at 1010, made the summit after 1:30, continued about 20 minutes to the hut Tuva where drinks and food are served. The return trip from Tuva to Kikut took 1:10. The day was perfect, no wind, absolutely blue sky, almost no people, in fact, I saw nobody until I reached Tuva. 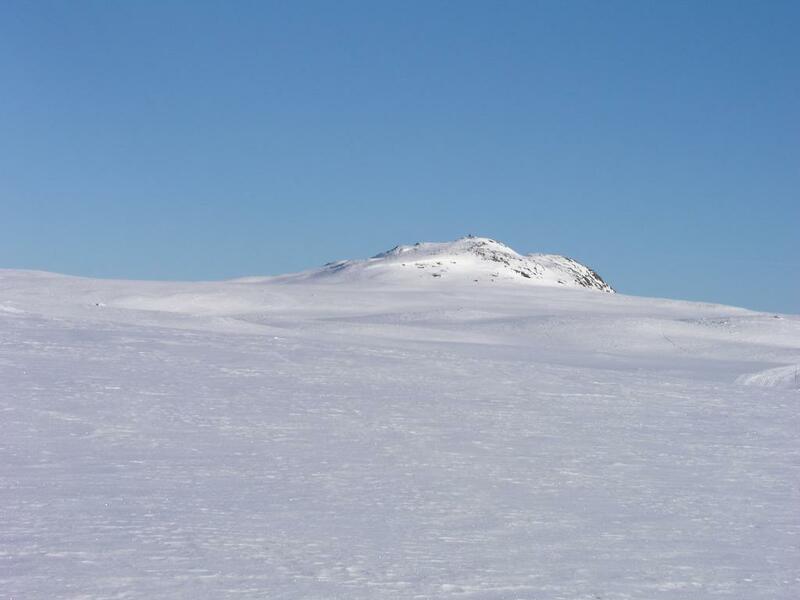 Ustetind, as seen when skiing from Geilo (or Kikut). Hallingskarvet as seen from Ustetind (panorama). Ustetind, as seen when skiing from Tuva towards Geilo.